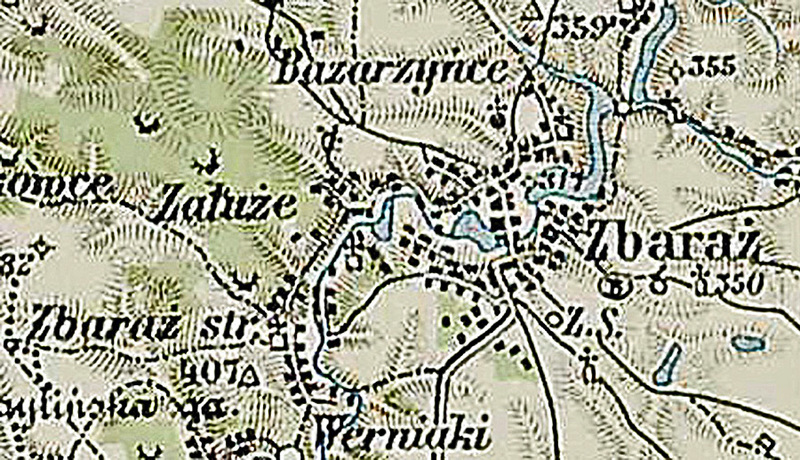 A small section of the 3rd Military Mapping Survey of Austria-Hungary showing Zbaraž. The scale: 1:200 000 is large enough to show detailed views of the smallest village and even the rows of houses. The Mapping Survey was done between 1868 – 1880. . The maps were created by order of the Austrian Ministry of War. The original sheets were published c. 1910.